Little hands will love these over-sized cubes. Four times larger than standard Unifix Cubes these jumbo cubes snap together easily and stay connected. The set includes 20 cubes, 1 1/2" on all sides, in four bright colors. Activity ideas included. Ideal for grades PreK-K. Only $9.95. Supplying all of your storage needs! 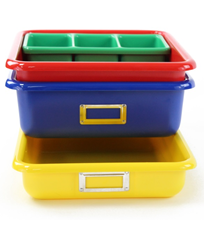 Shirley K's is a leading supplier of multiple purpose plastic storage trays nationwide. The durable and functional design makes these trays ideal for a variety of uses. Storage and compartment trays are designed to conveniently separate and organize items. Store them on tabletops, workbenches, desks and project tables or place them in drawers, cabinets and closets for optimum organization. Re-stock The Reading Game this March to receive free shipping plus a free demo game with your order! The Reading Game's fast action memory card games and storybooks have won over 8 industry awards. 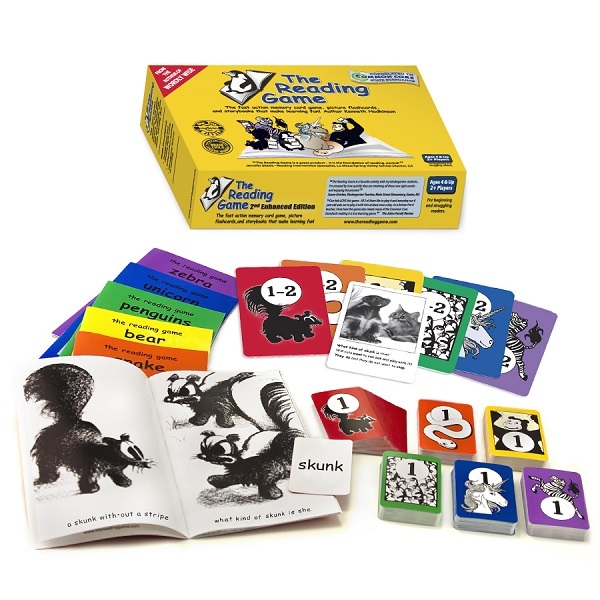 This game is great for classroom reading centers, homeschoolers and parents! For early readers and struggling readers. 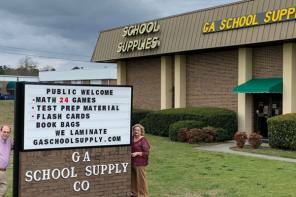 $34.95 MSRP. Your cost per case (9 units) is only $139.80 - delivered! Email orders to info@thereadinggame.com to claim your show special! 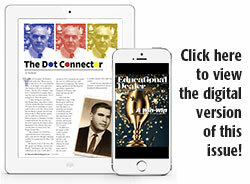 Also available through Educator's Resource. 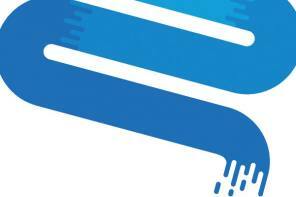 Cool Kind Kid is unable to be at Ed Expo, but we’d like to introduce you to our bullying solution by emailing you some exciting information and a special offer. Please connect with us at info@CoolKindKid.com. 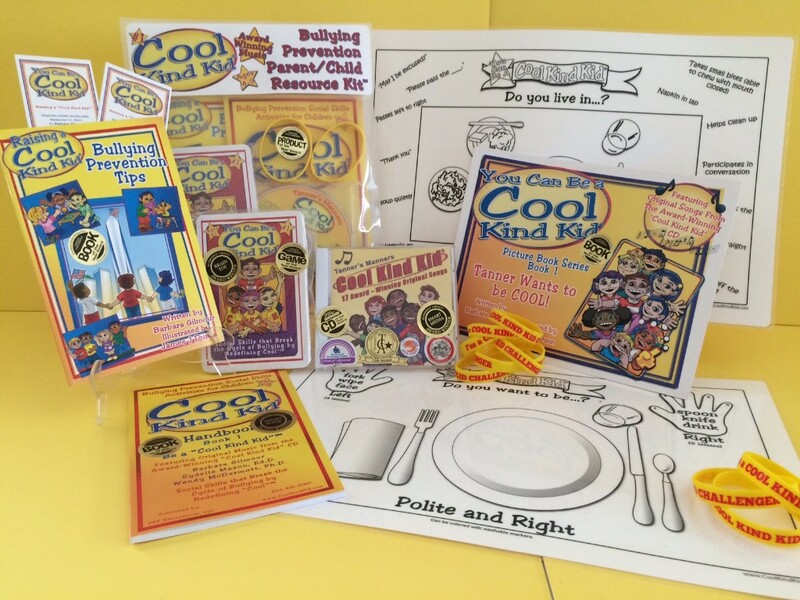 Cool Kind Kid's new line of products meets the needs of parents, teachers, after-school, community and rec programs looking for short, easy to implement educational materials to help equip today's kids with the tools to reject bullying. 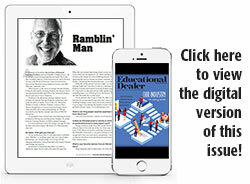 Research now supports social skills as the missing link in bullying prevention. 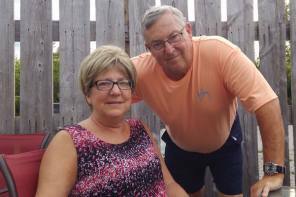 The bullying cycle begins with rudeness or incivility. We can stop that cycle at the beginning. Our children are bombarded with the message that mean, rude and disrespectful behaviors are cool. 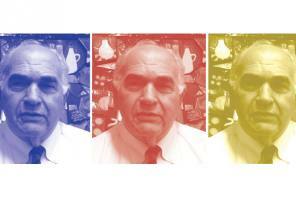 As Cool Kind Kid redefines "cool," kids are engaged while learning that, "The KIND kid is the COOL kid, not the bully." 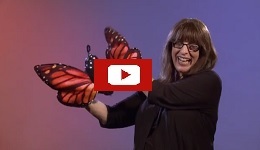 Experience the beauty of life and the magic of metamorphosis with the Folkmanis® Monarch Life Cycle puppet. 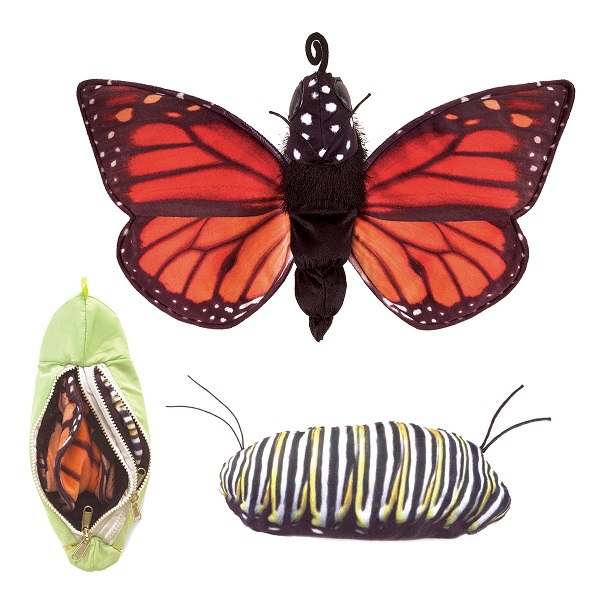 A wonderful teaching tool with extraordinary design, this unique toy changes from caterpillar to chrysalis to adult monarch butterfly. Utilize the zippers to tuck and reveal one stage to the next and watch life unfold before your eyes! Once the transformation is complete, insert your hands into the monarch wings to cause a flutter with your friends. Winner of 2016 DR. TOY Best Classic Products, 2016 NAPPA Award, 2016 PAL Award and 2016 PARENTS' CHOICE GOLD Award. 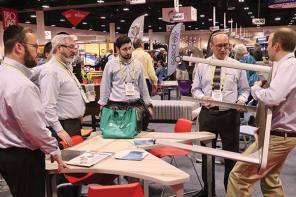 Stop by our EdExpo booth #1006 to see and play with the newest puppets. Be sure to take advantage of our generous show special. Get students on the path to counting, addition and more! A number path is a visual counting model that is easy for young students to understand. 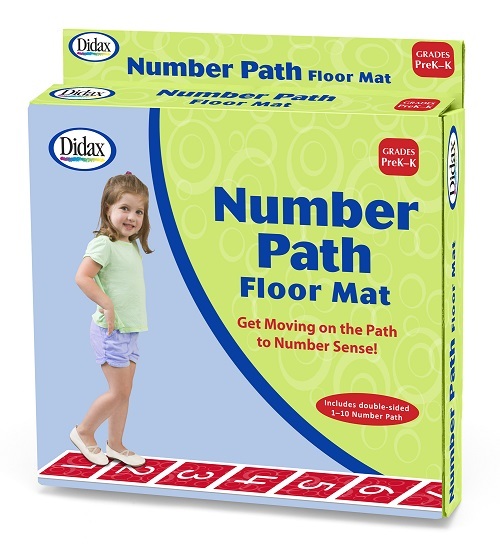 Use this tough vinyl floor mat to get students out of their seats for counting, addition, subtraction and more. Young students will love taking their place on the mat or use our Giant Two-Color Counters (sold separately) for a variety of math activities. Mat is double-sided (numbers are horizontal on one side, vertical on the other) and measures 144" x 16". Suggested activities included. 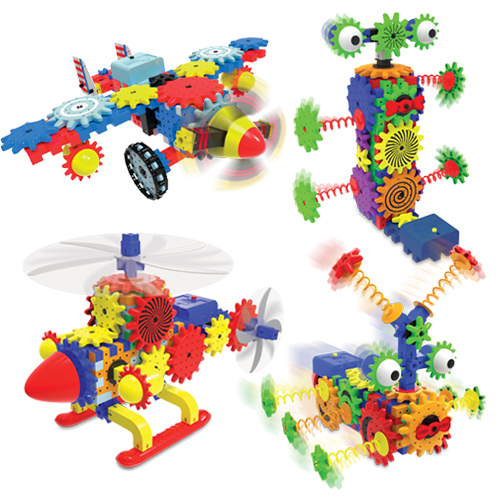 Grades PreK-K.
Action Packed Construction Sets that Move and Work! Kids love to build, and the Techno Gears Construction Sets are the perfect way to encourage your little engineer and architect! With each set featuring more than 80 colorful construction pieces, only the imagination of a child can limit the possibilities! 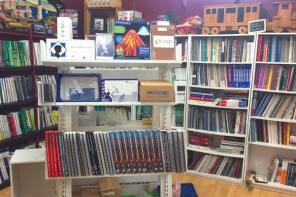 These products align with the Science, Technology, Engineering and Math (STEM) standards. Requires two “AA” batteries (not included). Ages 6+ years.